SG Edge, an Indian machine manufacturer and supplier based in Noida, has partenered with Korea-based Dilli to represent its digital label press in India. 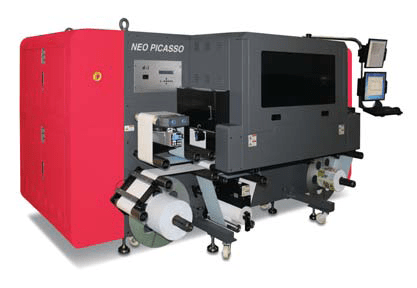 The digital press will be displayed jointly by SG Edge and Dilli at Labelexpo India 2018 at Stand L25. In addition to joint apperrance of SG Edge with Dilli at Labelexpo India 2018, the company is also present independently at Stand M30, and jointly with Webtech at Stand M25. SG Edge represents Webtech in India. SG Edge represents several global manufacturers from Italy, USA, UK, China and Taiwan in India. SG Edge has a good reputation in the market for its high quality products and services in the flexographic and roto-gravure industries.